I’m a Assistant Professor in the Department of Wildlife Ecology and Conservation at the University of Florida, USA. I am a global change ecologist with interests in drivers of biological organization in space and time and the effects of human disturbance on these processes. My research is diverse and global in scope, encompassing multiple taxonomic groups across boreal, temperate and tropical ecosystems. 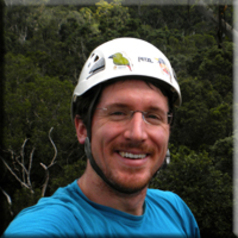 My recent research interests include vertical species distributions in rainforest canopy environments, ecophysiology of ectotherms, microhabitat buffering in structurally complex environments and extreme climate events. My work is primarily focused on assessing species and habitat vulnerability and resilience under new climates and disturbances.